" This works just the way a power supply should: it supplies power and otherwise remains out of mind. " 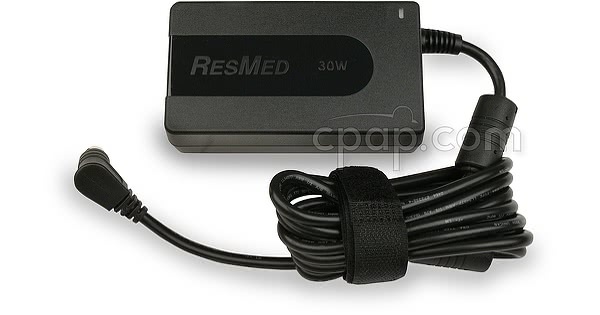 This is the 30 Watt external power supply for use with the ResMed S9 Series CPAP and BIPAP machines when used WITHOUT the humidifier. 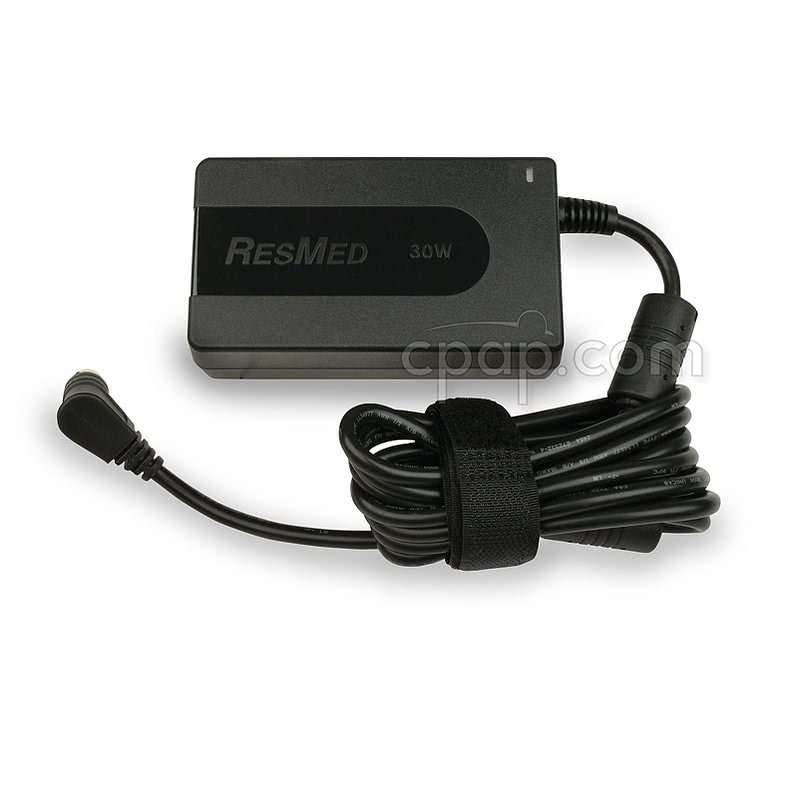 This product includes four (4) different adapters to plug into the wall outlet to work in the United States and abroad. Select the appropriate plug for your location. This power supply is smaller and lighter than the 90 Watt version used to power both the machine and humidifier. This 30 Watt AC power supply and cannot be used in a DC configuration. 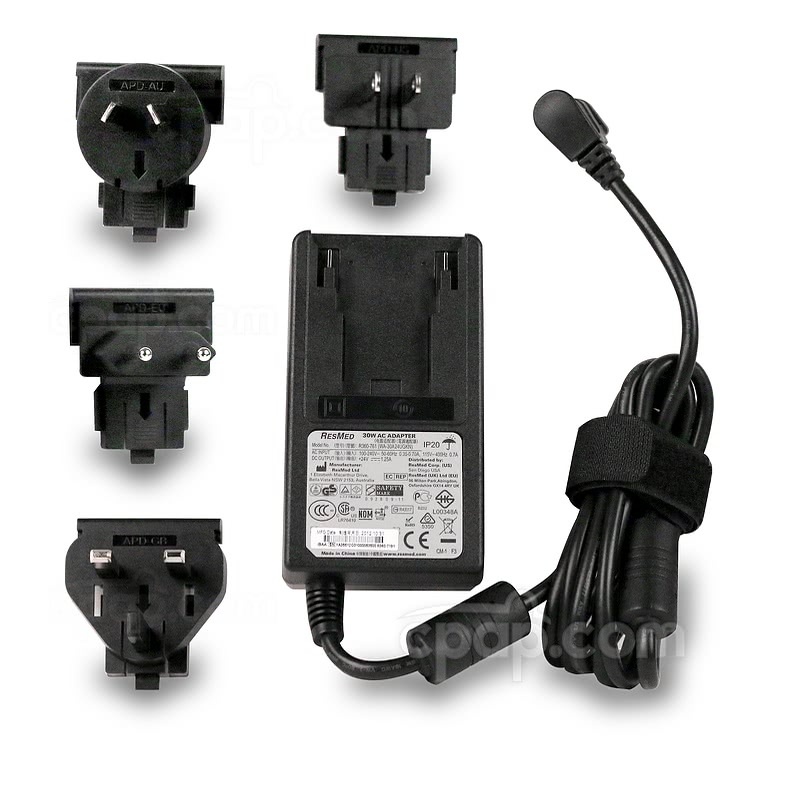 The DC compatible cord can be ordered here: DC Converter 24V/90W For S9™ Machines. IMPORTANT NOTE: Use this power supply when operating ONLY machine. NOT INTENDED FOR USE WITH A HUMIDIFIER.